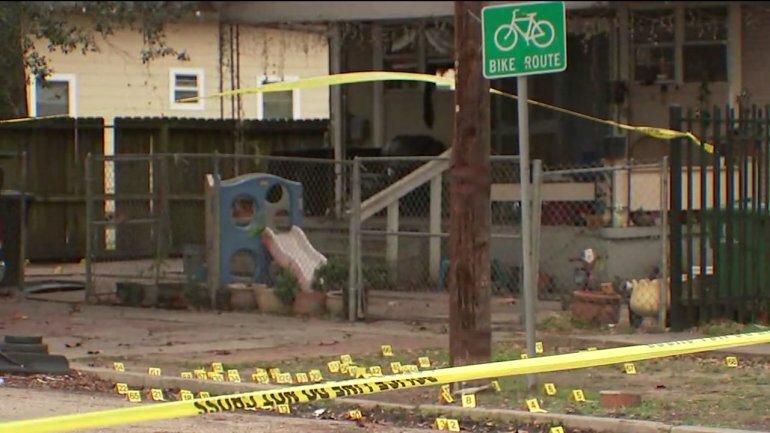 A 20-year-old Houston homeowner fought back as a home invasion crew stormed his home around 1am Saturday, January 19th. 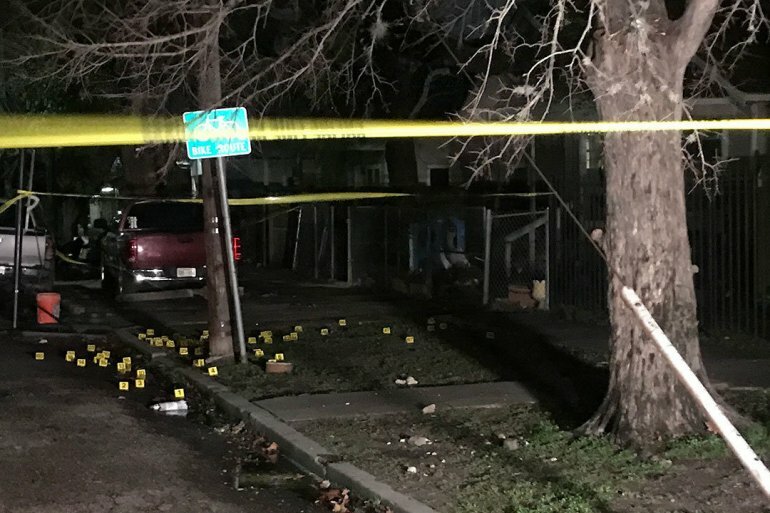 After an extensive gun battle, the homeowner shot all five intruders, killing three. Gosh, why would anyone ever need more than ten rounds of ammunition (and possibly only five in Oregon?) Or why would someone under 21 "need" one of these modern sporting rifles? Things did not go well for the baddies though. The brazen bandits must have skipped the class in "Leave no man behind 101" because they abandoned one of their own to bleed out on the front yard. The remaining four tried to escape in an SUV. However, that didn't end well for the remaining members either. 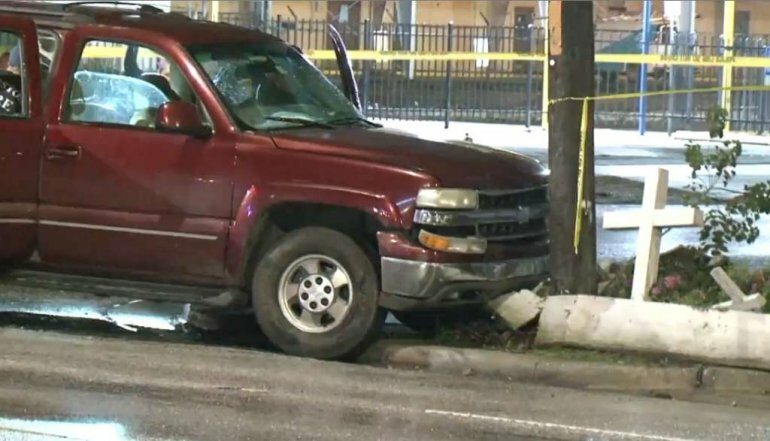 The driver lost control, likely from blood loss, and crashed into a pole. Despite the result, it's a safe bet that Diane Feinstein, Nancy Pelosi and the rest of Big Gun Control will try to use these dead criminals as three more reasons the rest of us should give up our guns. To the contrary, these criminals stand (lay?) as testament to the need for semi-automatic firearms with standard-capacity magazines for all of America's good guys and girls. In any event, we hope the defender and his or her family can cope successfully with taking three lives in defense of their home. And secondarily, that they will remain safe from retaliation from the mopes' families and friends. This entry was posted on February 4, 2019 at 1:30 pm and is filed under Blog. You can follow any responses to this entry through the RSS 2.0 feed. This type of crime probably didn't happen much at all that I'm aware of during the colonial/revolutionary era when America became a nation (unless you take into account seafaring Pirates and their coastal raids to pillage and plunder). Nonetheless, this is exactly why the framers of America, the Bill of Rights and U.S. Constitution put the Second Amendment in as an individual right (as are the other nine protections). It is not just a collective right for Armies or Militia (which is the public). The Second Amendment is an individual right for self defense, "…defending their lives and liberties;"
Preclude tyranny! Fill out your Witness Slips!